When it comes to website builders, they must have great functionality, reasonable price and high level of usability. If you are familiar with MotoCMS, you probably know that this website building platform complies with these requirements completely. Developing top-quality website templates for every purpose and need, MotoCMS got its credit not only due to the great experience and large army of customers, but the website builder which is constantly being updated from year to year. MotoCMS is a great combination of SaaS website builder and Content Management System. Such cooperation allows system to create websites of any type and complexity. From simple promo site and landing page to large marketplace – all of that can be powered by MotoCMS. In this post I’ve decided to gather all the experience about MotoCMS I had before. Here you can read the full MotoCMS review, look into its templates and white label descriptions and look at the MotoCMS FAQ. So, let’s begin! Although the MotoCMS website builder interface was much improved, its user-friendliness is still on the great level. As the admin panel was developed especially for unskilled users who don’t get a thing in programming and web design, MotoCMS saved the same old WYSIWYG system, as well as familiar drag-and-drop functionality. Changing a MotoCMS website design, one can see the results right off the bat by drag-and-dropping a desired object on a website layout. For better understanding of how the admin panel works, MotoCMS developers put various tips that are provided in a pop-up form. Making first steps in your website editing, read step-by-step tutorial pop-ups and all the secrets will be out. On top of all of that, bear in mind that MotoCMS is a content management system. You may easily upload your web template files and install them on your hosting yourself within minutes, as well as transfer your website to other host anytime. If you want to test the product beforehand, you have to sign up for the trial period. The registration costs neither time or money. Only your email address is required for authorization. Though the website building platform powered by MotoCMS has a couple of previous versions, MotoCMS 3 may be considered as a brand new product. New release contains a bunch of awesome “goodies” that were missed previously. Mobile-friendliness. Probably the most long-awaited new feature in MotoCMS website editor is its adaptivity to trending mobile devices. What would you prefer for internet surfing: mobile or desktop platform? The answer is obvious. From now you are welcome to use the MotoCMS admin panel from three major breakpoints: smartphone, tablet or desktop. As a result, your web design will be automatically adjusted to the most of mobile devices’ screen resolutions without losing original content, as well as your website visitors will enjoy its perfectly responsive mobile version. eStore. If you would like to start up an online store, MotoCMS finally produced a made-up solution for everyone to begin commercial business online. 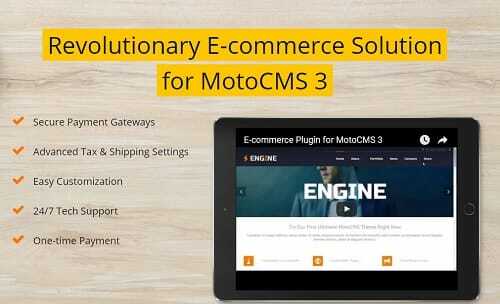 MotoCMS eStore contains everything to manage your commercial activity right in the website editor. The system is compatible with all MotoCMS 3 websites. View all the information about each of your customers. Create product catalogs with categories and brands. Announce sales by setting discounts and promocodes. Set up payment systems, currencies and taxes. Track real time daily and monthly statistics on goods and buyers. Default SEO features. With the MotoCMS website editor you can easily optimize your website content by writing page titles, meta descriptions, keywords (ALT tags for images). 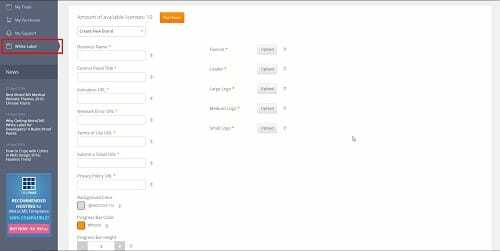 Integrate Google Analytics and Google Webmaster Tools, Yandex Metrica and Yandex Webmaster. Set “No-index”, “No-follow” and “Canonical” tags to turn on these features. 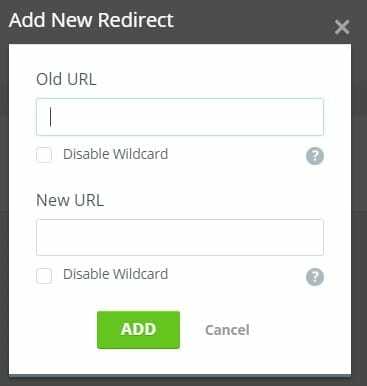 MotoCMS developers have completed work on the “Redirects” section which will allow users to perform 301 redirect right within the admin panel. You won’t need to modify your .htaccess file to redirect folders and pages of your website, so even an inexperienced user will be able to redirect necessary pages of the website to new URLs. This feature is available in the admin panel. Updated Media Library. The admin panel’s file manager has been improved as well. Manage your files like photos, audios, videos, docs and archives by creating as much folders as you want. It is pretty comfy if you have more than one web template to edit. Sizes and Values. Responsive design is a great solution for a website owner to make a website adaptive to the most popular mobile devices. To the most, but not to all of them. The Sizes and Values tool will help you to set values for a specific screen resolution by hand. If you need some additional space between layout elements, set it up separately for smartphone, tablet and desktop in this section. Color Picker. It’s always hard to choose a perfect color palette for own website, especially when you are not a web designer. The Color Picker tool makes this issue insignificant, generating an original color set for your website appearance from five main website colors. Consequently, you have 25 unique color tones to choose from, as well as ready-made more (five) colors section. Another advantage of this handy tool is when you alter one hue, it will be applied to all elements with the same color tone across the whole website. Text Styles. In this area you will be able to change your website text style, size, color, spacing and other properties in one place. This tool works on the same principle as Color Picker. Setting properties for a specific text style, you apply them to the whole content with an identical text design. As for text style selection itself, awesome Google fonts are available for each user of the MotoCMS responsive website builder. Social Media. Now MotoCMS offers three widgets for your website to integrate with worldwide famous social media: Facebook Feed, Twitter Timeline and Pinterest Board. Just drag-and-drop a needed widget, insert an URL of your account page (ID for Twitter) and bingo! There are also two more common widgets to like and share your website in social networks: Social Links and Social Buttons. There are three website types you can choose from, starting your online business with MotoCMS: eStore HTML and responsive Moto 3. One can freely look at the whole website templates collection, containing dozens of categories for almost every purpose and intent. Such category division saves a lot of time, especially when you’re lookning at MotoCMS Templates at first time. MotoCMS Designs are not free. The price starts from $104 and the average cost for each is $199. It’s even higher than Shopify’s premium templates, which cost $180. But there’s a great benefit of paid templates – your website will be almost unique from scratch. While the others spend their time to customize a free template, you can start your website and promote your business over Internet. With a chosen website template you get the website builder with free updates and 24/7 professional customer support. HTML and rich content widgets. Google maps and other widgets. These widgets can be activated and modified in a few mouse clicks. If there’s a need to add a custom extension, you may develop your own widget and add it to the control panel. CMS templates providers target a specific audience. While one-stop site builders like Weebly or uCoz cater to the novice expecting to get everything in a single place (domain, theme, tools, hosting etc.) obviating the need to purchase those elsewhere, CMS templates like those offered by MotoCMS work best for people who already have a hosting account and domain, or at least know how and where to buy them. Based on these differences, I can define the following benefits and disadvantages of CMS templates compared to online site makers. You’ll have to purchase a hosting plan and domain name independently (according to the hosting requirements specified in the CMS template description). You’ll have to administer your hosting issues yourself: back ups, security measures etc. Most CMS templates have no division into separate accounts (one for content editing, another – for design and administration) – everything is integrated into the same panel. This can be fairly inconvenient. For example, your client can mess up the design, as well as change important website settings. Your template (=website) is yours. You can host it anywhere on the web (while with 90% of website builders you can’t move your site). Cost. You make a one-time payment to get a template along with support and updates. No need to pay monthly fee for the website builder, you will pay only for your hosting. MotoCMS takes care of its customers no matter what. You can hardly find a person, remained unsatisfied with the MotoCMS support center. One may make a call or ask for calling back in right time. Free live chat is also available. If you would like to figure out how everything works by yourself, there is knowledge base, including FAQs, user’s guides, video tutorials and issue solutions. As I mentioned above, before purchasing any website template powered by MotoCMS you can test it by registering the trial period. 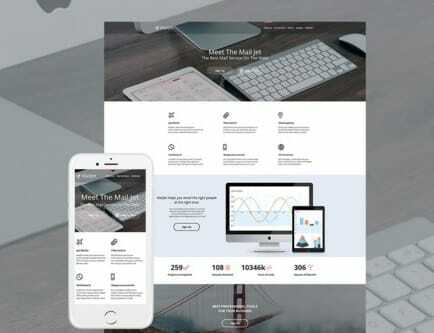 After the end of the trial period you can purchase an eStore or MotoCMS 3 website template ($199) and a HTML website template ($139), in addition you can buy one of the offers available: website installation (+$49), eCommerce plugin (+$99), SEO-audit (+$49), ready-made website offer (+$149) with free installation, logo and color scheme customization and your content update. Another paid option – Buyout License ($4500) – guarantees that you are the last one who buys this template: after buyout chosen template is removed from MotoCMS templates list permanently. The pricing is clear – no month-to-month, no subscriptions, only one time payment. Also, MotoCMS cooperates with hosting companies like InMotion and BlueHost to offer reasonable hosting plans. MotoCMS offers all website developers getting their brand name closer to their customers. You can get MotoCMS White Label for a reasonable price and start building your brand right after the purchase. It allows you adding up to 5 different brands to the templates you purchased from the MotoCMS store. You can easily discard a licence from any template you wish. Just note that this licence won’t be restored. Do what you do best and leave marketing aside. White Labelling takes off the marketing from you and leaves you with your favorite business – web development. We handle everything else in terms of promotion. I think you are convinced by all those benefits you can get from the White Label offer. Let’s take a closer look at MotoCMS site builder, as it differs a lot from its competitors and thus raises many questions. Question: What sets MotoCMS apart from other popular website builders? Answer: As opposed to Wix, Weebly, uCoz and other hosted site makers MotoCMS is a standalone website builder which is not associated with any web hosting provider, and exists independently, in the form of CMS templates. In a nutshell: if you build a website with Wix, there’s no way to move your site elsewhere – Wix website builder works exclusively on the company’s servers. While with MotoCMS you can use a web host of your choice. Question: What are CMS templates? Answer: CMS templates are almost ready websites: they come equipped with an admin panel, site building tools and widgets. Question: There are Flash and HTML templates in their library. Which should I choose? Answer: Frankly speaking, there’s no black-and-white answer to this question. It all depends on your needs. If you can sacrifice your site speed to amazing visual effects, opt for a Flash template (there’s a customizable Preloader aimed at making the loading process less boring :)). But if you’re looking to build a fast site with static content, an HTML theme will be the perfect fit. Question: Can I use one MotoCMS template for multiple websites? Answer: Unfortunately, you can’t. Each domain (website) requires a separate license. Question: How much does it cost to launch and maintain a site using MotoCMS? Answer: Unless there are discounts, MotoCMS templates starts from $104 per piece. Along with the template itself you get a built-in admin panel, free CMS updates and lifetime tech support. MotoCMS doesn’t require any renewals. You pay only once for the template. Website maintenance expenses will depend on your web hosting provider. Question: Is it possible to edit my site’s mobile view? Answer: Yes, it is. To preview and edit your site’s mobile view switch to the Mobile Editor. It uses the same handy What-You-See-Is-What-You-Get and drag-and-drop editing principles. No coding required. Question: Are there any ways to extend my site functionality? Answer: Each MotoCMS template contains a set of predetermined widgets to enhance your website. These are Maps, Galleries, Contact Forms, Paypal and many other extensions. Each template has a detailed description and can be viewed in demo mode. Besides, advanced developers may create their own widgets and integrate them into the control panel to improve MotoCMS functionality. Even though the company has already produced a few website templates with a blog, MotoCMS 3 still lacks a full-featured blogging platform. Let’s hope they’ll fulfill this so demanded feature request very soon. MotoCMS is the great alternative for small business or simply for those who would like to save money and energy resources, but get a website with design and functionality that are equal to the one, developed by specialists. In addition to your website you obtain innovative drag-and-drop website builder, free updates and 24/7 customer support. It is a great start for non-professionals for reasonable price.